It put a smile on my face, so thank you! So...I started looking for patterns that would be quick to put together as I had to finish it before the baby arrived! 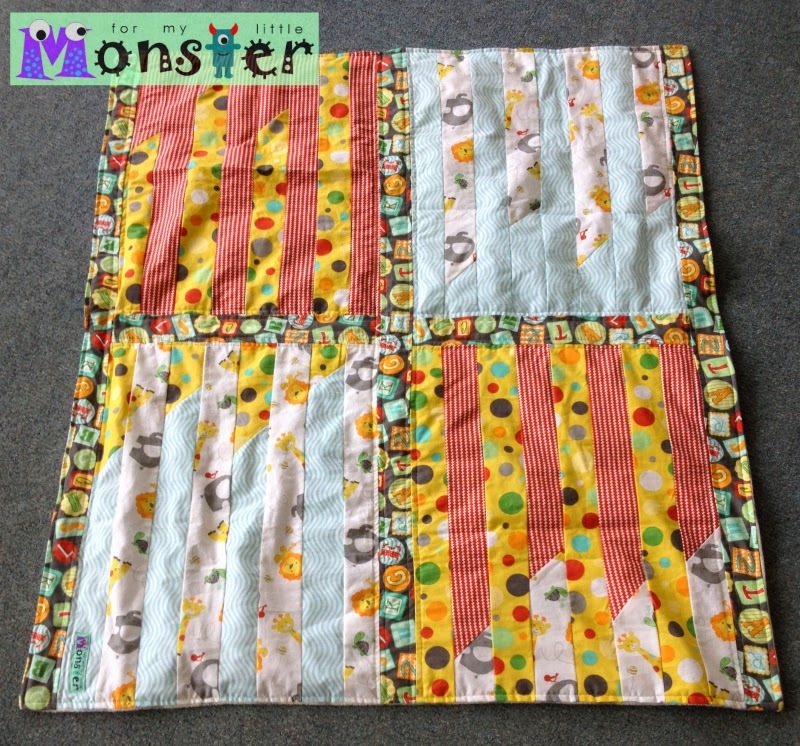 I settled on the Layer cake lemonade free quilt pattern from the fat quarter shop. P.S. 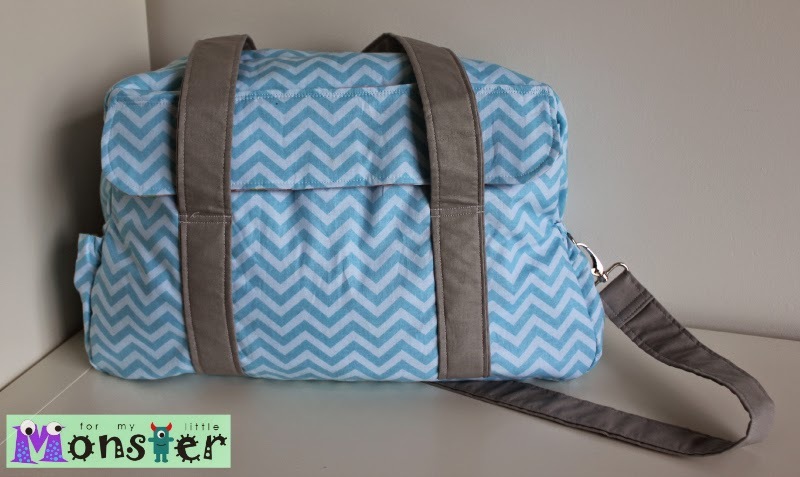 Don't forget to enter the giveaway to with the Nappy bag pattern! You can enter here. 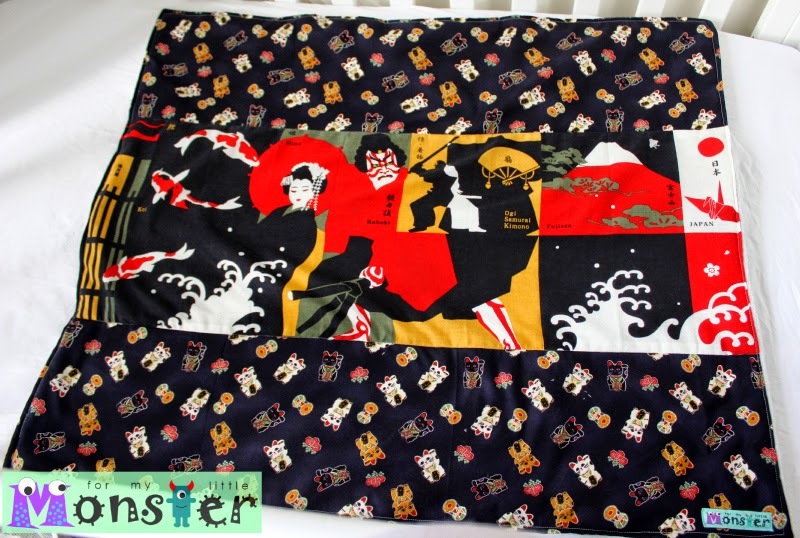 A secret project revealed...And a GIVEAWAY! 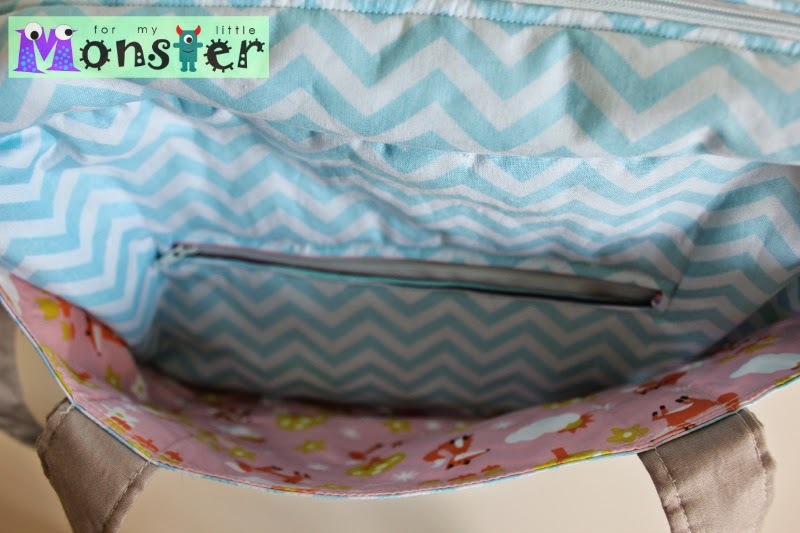 I was lucky enough to test Samantha from At Home With Mrs H's new nappy bag pattern! 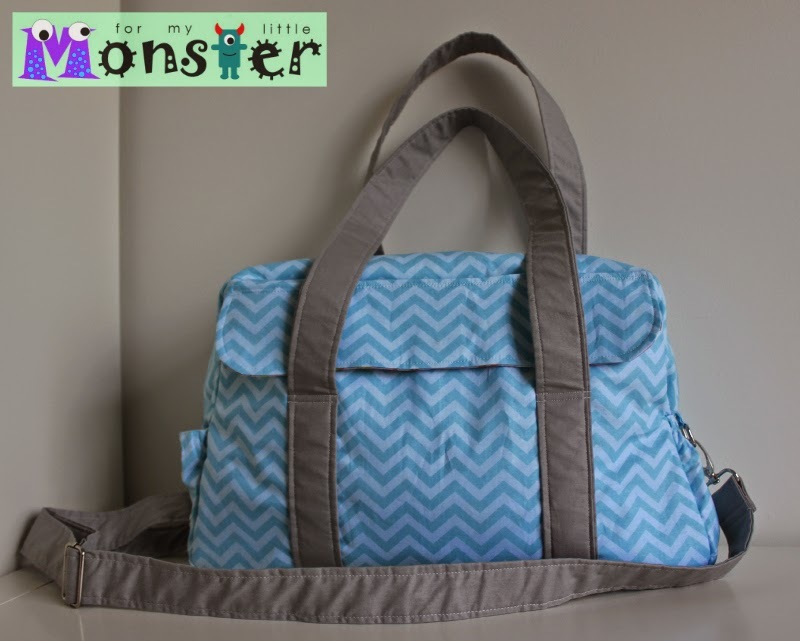 Back to the nappy bag...I have really liked using it since the belly monsters arrival. 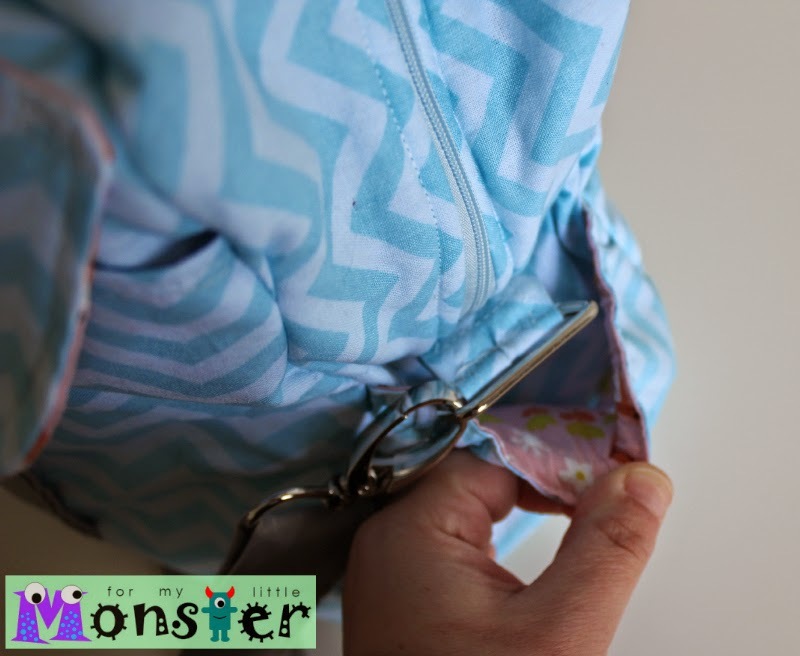 This is a hidden zipper pocket inside the back slip pocket. 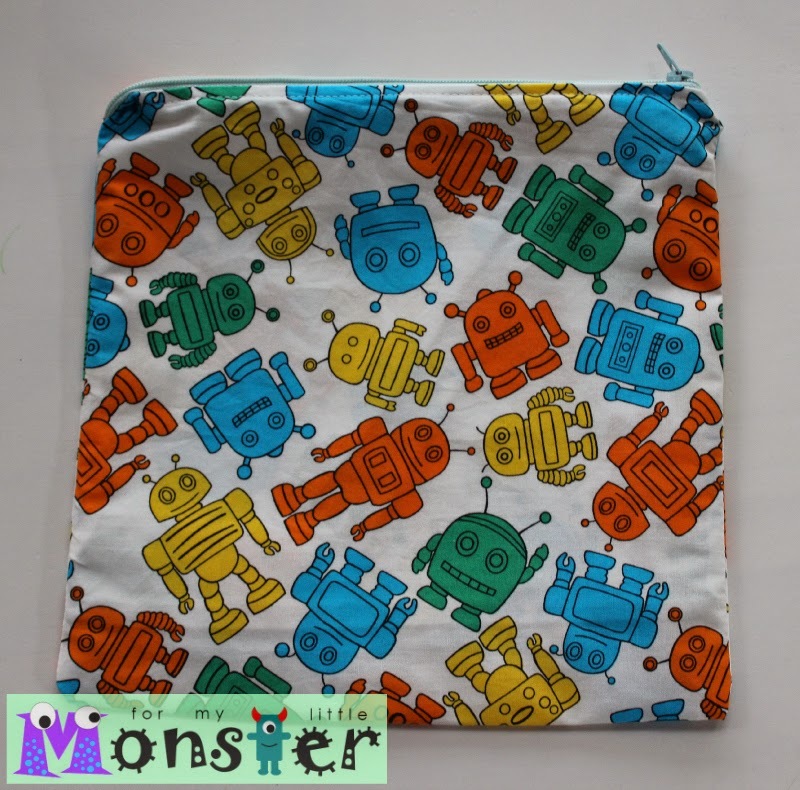 A pocket on the front of the bag with a magnetic button closure. 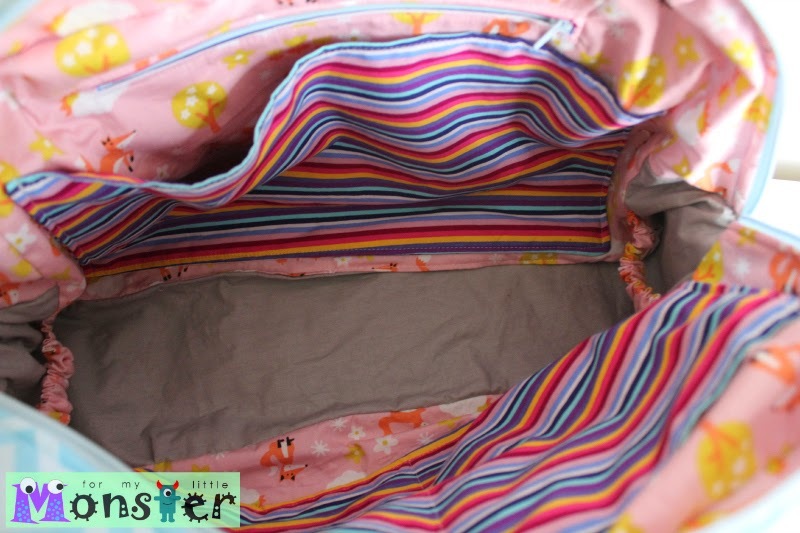 Inside the bag there is a large slip pocket, a divided slip pocket and a zip pocket. You should also be able to see 2 elasticised bottle holders. 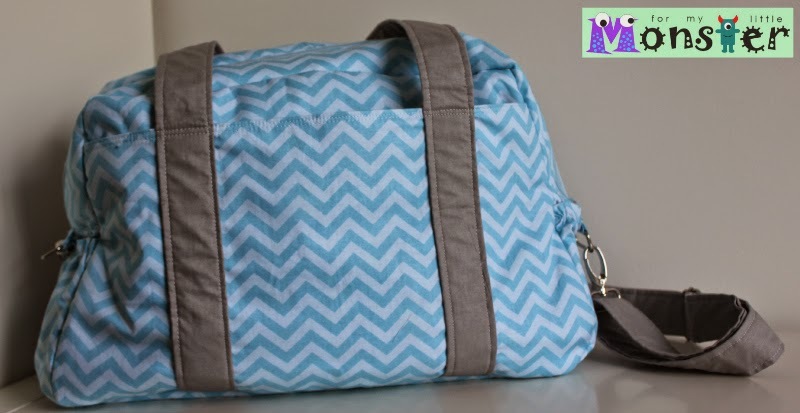 This is not the 1st bag that I have made from one of Samantha's patterns and it certainly wont be the last as her instructions are always incredibly well written and are so easy to follow. Now to some great news for YOU! 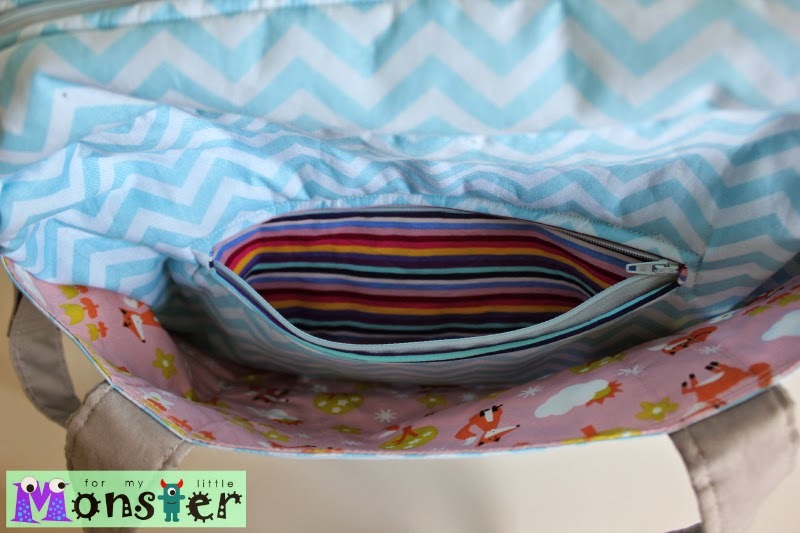 Do you want to make your own nappy bag? 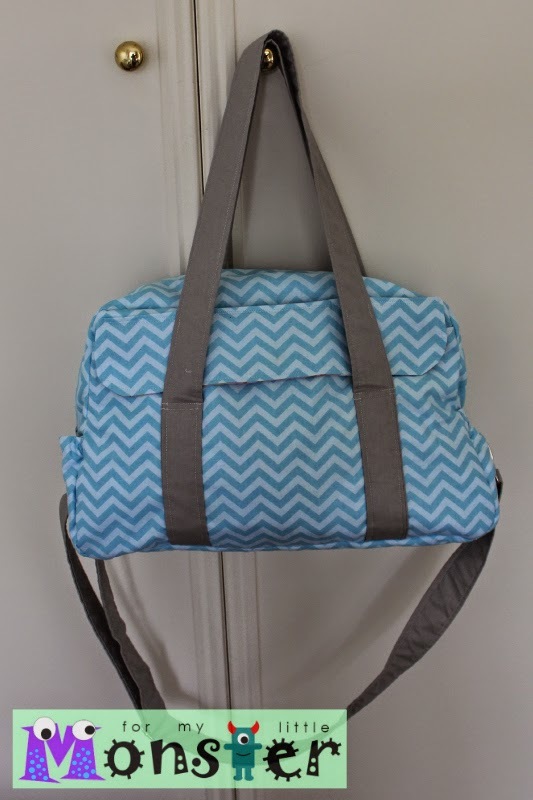 Or have you been eyeing off one of Samantha's other bag patterns? You have?! 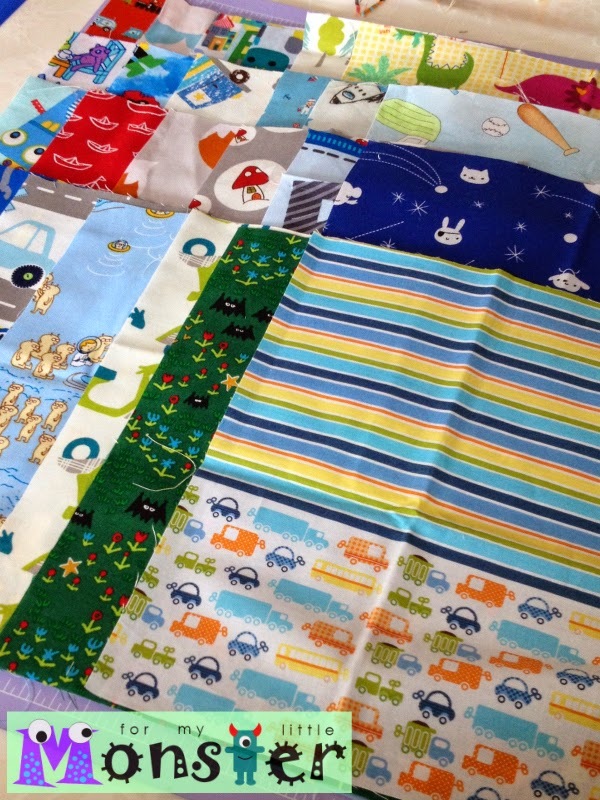 Well now is the time to shop, as Samantha is offering 10% off with the code ATHOMEWITHMRSH10 in her etsy shop. Samantha has been so lovely! 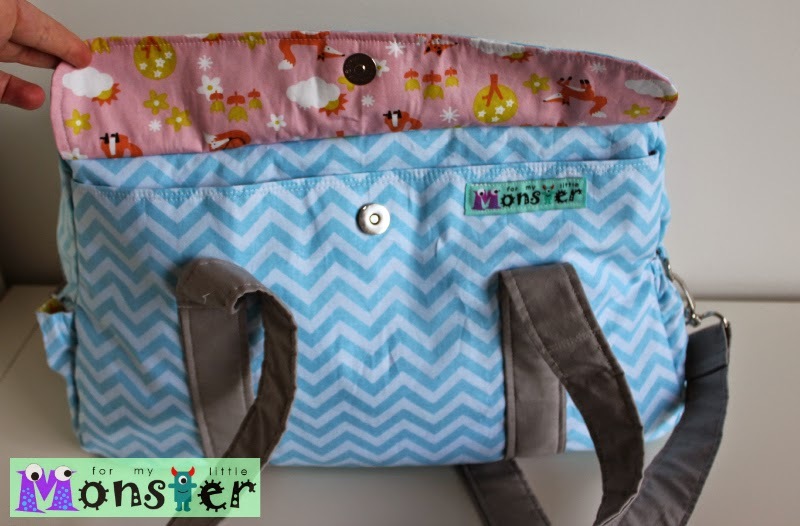 She wants to offer one of you lucky readers, the chance to win a copy of the nappy bag pattern! As you may have seen on IG, facebook or even mentioned in this post...I have been busy preparing activities for the little monster to do when the belly monster arrives and I'm busy feeding etc. 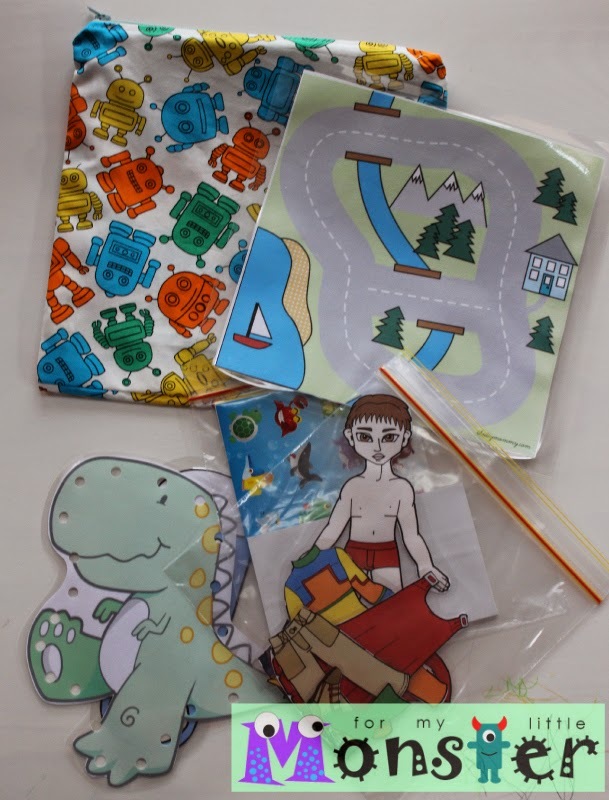 So I made double of a few of these activities and put them in a little zipper pouch I made and gifted this (along with a blanket I made for the baby) to the expecting mother. 1 pair of shoe laces." 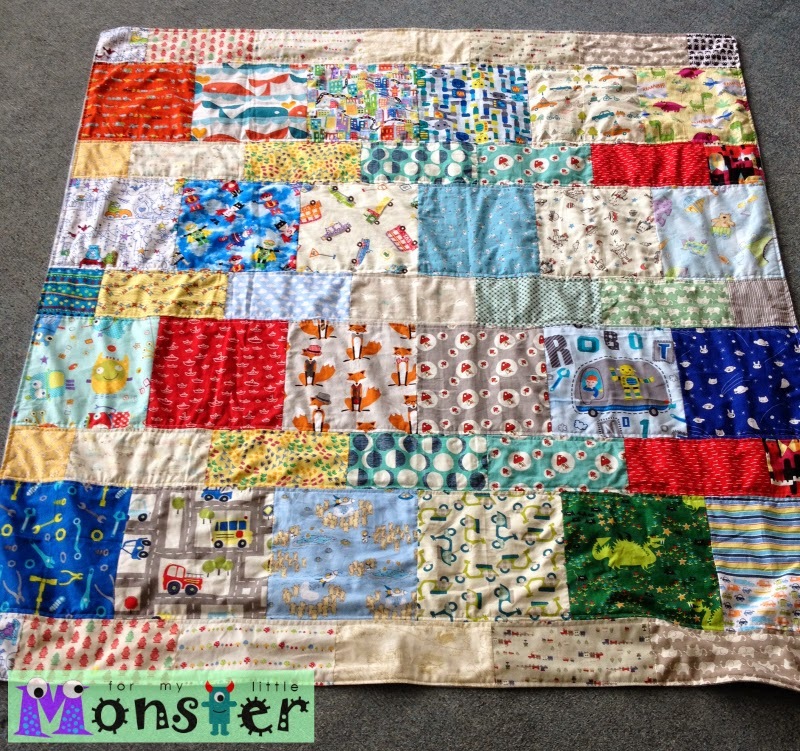 Hopefully the family and the new baby boy love this blanket as much as I do!